Germany's Brose to invest $105 million, add 300 jobs in U.S.
Brose North America continues to land new business with automakers. 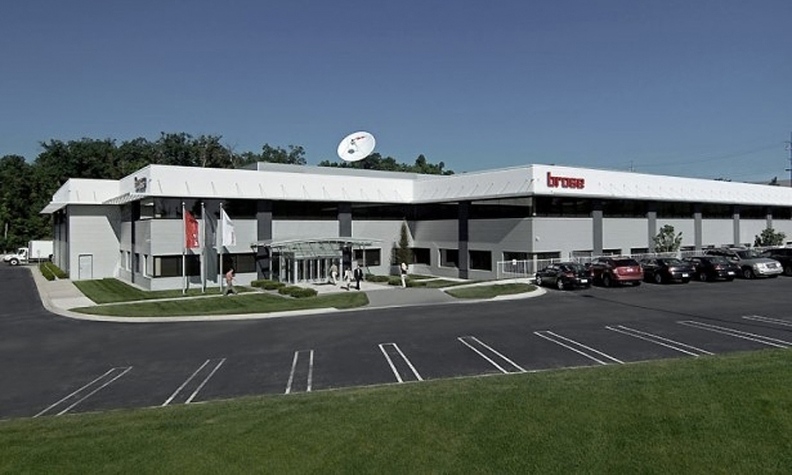 Brose North America is further expanding its southeast Michigan operations. The U.S. subsidiary of Germany's Brose plans to invest $105 million over five years at its U.S. headquarters in Auburn Hills, Michigan, and its New Boston, Michigan, manufacturing plant, adding 300 jobs. The new investment dovetails on a previous investment plan announced in 2014, totaling nearly $202.6 million and 775 jobs. Brose makes a variety of window regulators, liftgates, door modules, seat structures and closure systems for automakers. The Michigan Strategic Fund board approved performance-based grants of $2.7 million Tuesday to support the expansion, on top of a $4.25 million grant in 2014. To date, the company has exceeded its previous hiring milestones and has hired 229 jobs linked to the 2014 grant, according to a memo by the Michigan Economic Development. New contracts with automakers caused the need for expansion and new hires, according to the MEDC memo. Brose customers include Ford Motor, FCA US, Honda Motor and Nissan Motor. The newly-created jobs will mostly include skilled operators and production line technicians at the New Boston plant and testing technicians and technical support professionals at its headquarters in Auburn Hills, according to the memo. The supplier also plans to invest in new equipment for the paint, weld and track assemblies for seat structures. Brose also operates a plant near Detroit in Warren, Michigan. Brose ranks No. 36 on the Automotive News Europe list of the top 100 global suppliers with worldwide sales to automakers of $6.78 billion in 2016. About 25 percent of its revenue is generated in North America.